The Gouldian Finch is a small, strikingly colored member of the finch family. Its remarkable plumage has made it very popular among pet bird enthusiasts. They are very passive birds that are meant to simply be observed in captivity, as they do not like to be handled. The scientific name of the Gouldian Finch is Chloebia gouldiae. These small songbirds are also commonly called Lady Gouldian Finches and Rainbow Finches. There are three main variations based on the color of the bird’s head, which can be red, black or yellow. About 75% of these finches are of the black-headed variety. Gouldian Finches are native to northern Australia, where they once formed large flocks. According to arkive.org, there are only about 10,000 birds surviving in the wild. Their number was decimated by capture for the pet trade, and Australia banned the trapping and exportation of these birds in 1960. Named after Elizabeth Gould, wife of British ornithological artist John Gould, these finches grow to be about 4.7 to 5.9 inches (12 -15 cm) and weigh about 1/2 ounce (14-15 grams). Females are less brightly colored than the males. Male Gouldians have a purple chest with females’ chests colored a lighter mauve. What Do Gouldian Finches Look and Sound Like? The attractive coloration of these finches is what endears them to pet bird owners. They sport brightly colored red, green, yellow, black and purple feathers and are one of the most colorful of all the Australian birds. As with most finches, they have two long and pointy tail feathers. These are quiet little birds that do not sing complicated songs. They do make a persistent chirping sound that is not too loud nor unpleasant. Gouldian finches are not known to mimic human speech. Below is a short video that demonstrates their beauty and vocalization. What Can I Expect From My Gouldian Finch? Gouldian Finches are friendly, social birds that are best kept in groups in a large cage or aviary. Solitary birds will not be happy, so plan on having at least a few of these beauties. They are very active, “watch only” birds that dislike being held. These finches are also particular about their surroundings, and according to the BBC Nature, they can be fatally stressed by a change in environment. Since these birds should not be held, they are fine for families with small children. They are very alert and can be startled by the occasional fast and loud movement of children, so caution should be taken in that regard. 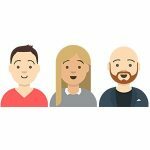 Though they are intelligent, their reluctance to be handled means they are very difficult to train for even simple behaviors like stepping-up. It can be done with extreme patience, but the bird’s temperament many make it impossible in your individual case. Your interaction with these birds is primarily from afar, simply observing and enjoying their splendid colors. How Do I Care For A Gouldian Finch? Gouldian Finches are not the easiest finches to care for and for this reason, are not recommended as a first bird for new bird owners. Zebra and Society Finches are hardier and are a better choice for novice bird-keepers. 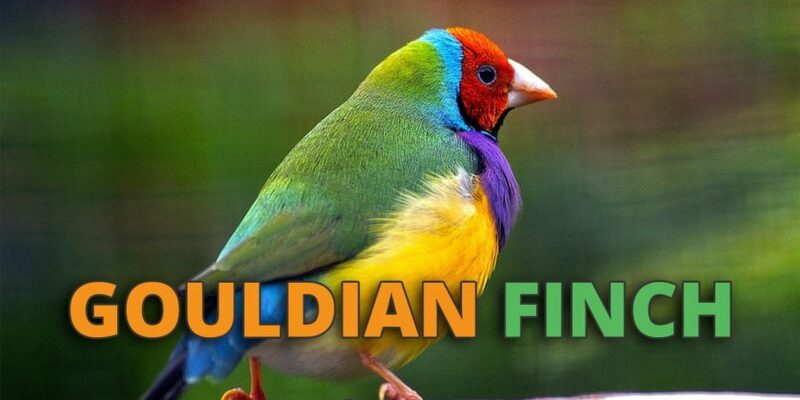 Gouldians get along with these other finch species and they can be kept together in a spacious aviary. Cage size should be a minimum of 30 inches long x 18 x 18 inches with 1/2 inch bar spacing. Larger is better as these birds need to fly for exercise and will become stressed in smaller enclosures. This will shorten their lifespan and often lead to breeding problems with females. Provide a nest box and a variety of wooden perches for your birds. Most finch accessories are made for cages with vertical bars, so keep that in mind when choosing a cage. Another consideration is to ensure that the doors allow you to get in to feed and water your birds, but not large enough for them to escape. Gouldian Finches are susceptible to cold and require a temperature of between 70 to 75 degrees Fahrenheit (around 20 degrees celsius). Their nails may need clipping, which can be problematic due to their unwillingness to be held. They love to bathe and can be given small saucer of water or lightly misted with a spray bottle if living in a cage. Below is a nice video of Gouldians bathing in an outdoor aviary. You can expect a yearly molt that can be fairly stressful for your birds as they may lose many feathers at a time. 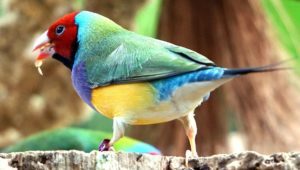 Molts can be delayed for various environmental reasons as described by ladygouldianfinch.com. Based on your location, molting will occur at different times of the year, and you should make every effort to have your birds finish their breeding 4 to 6 weeks prior to their scheduled molt. Breeding these birds is no simple matter, and they are known to be careless parents, often abandoning eggs or hatchlings. In mixed aviaries, Society Finches will often rear the young Gouldian Finches. The birds should be at least a year old when bred and will produce between 3 to 6 eggs that will hatch about two weeks after they are laid. In the wild, these birds survive on grass seeds, but in captivity, a good quality finch food should be provided. Along with daily fresh water, grit and cuttlebone will help your birds remain healthy. How Healthy Are Gouldian Finches? Well cared for birds can live for 6 years in captivity. They are prone to air-sac mite infection brought about by stress. This condition requires immediate veterinary care. They can also develop scaly-face and may get overgrown beaks and nails which need to be addressed. 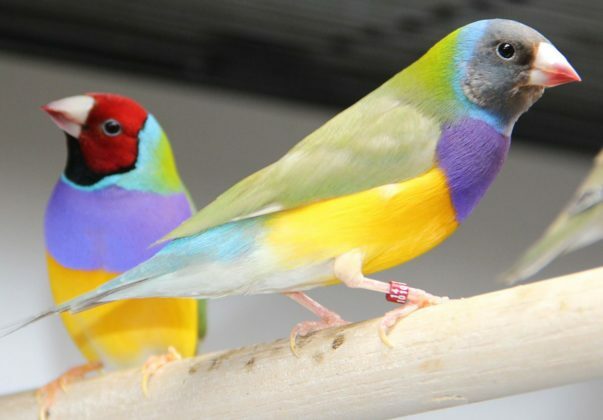 You will pay at least $100 for a Gouldian Finch, with some color mutations costing much more. You also need to be prepared to buy a large cage and provide a high-quality diet. These birds are not destructive and will not go through a lot of toys or perches, so after your initial costs maintenance is fairly inexpensive. Are Gouldian Finches Right For Me? If you are an experienced bird owner and have the room for a cage of sufficient size to house a small group of these birds, then Gouldians are a nice bird to have in your home. They will not bond with you as would a parrot, but you can enjoy their beauty from a distance and watch them interacting with each other in their closed society.